WHAT a difference a few years makes. 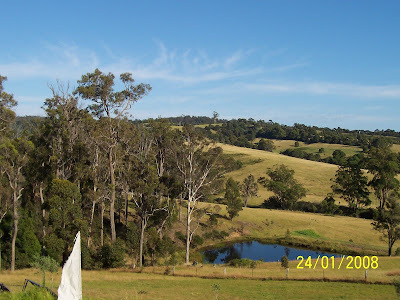 I've just returned from a 5 week family holiday to Tanja the far south coast of NSW . Tanja is located in an attractive valley that borders the Mimosa Rocks National Park - half way between Tathra and Bermagui. The habitat consist of Angophora woodland, Spotted Gum forest, coastal littoral rainforests, beaches and estuaries, and some remnant temperate rainforest. While I was staying in the are I also recorded Painted Honeyeater, a species that was not yet on the list for the south coast. Swift Parrot were also starting to utilize the Spotted Gum forests. 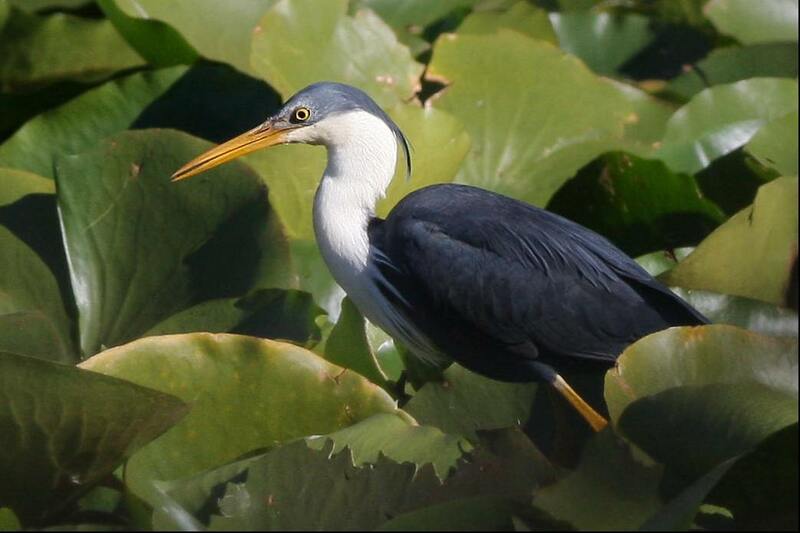 Similarly in 2009 a Pied Heron, a vagrant to southern Australia, was found feeding on waterlilies in a wetland near Bega. Magpie Geese and Black-necked Stork have also been recorded in ephemeral wetlands in the area. There are a number of good bush campgrounds in the area, mainly in Mimosa Rocks National Park, including Picnic Point, Aragunnu, Middle Beach and Gillards. A bit further afield there is camping at Bittangabee and Saltwater Creek in Ben Boyd National Park and Hobart Beach in Bournda NP. There is also an excellent Bed and Breakfast in Tanja called Ngairin. 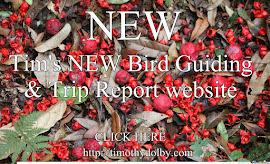 If you're visiting the area, here is a summary of some of the good birding spots. An excellent spot to see Pilotbird, Black-faced Monarch, Pink and Rose Robin, Bassian Thrush, Rufous Fantail and Red-browed Treecreeper. There are usually several large overly friendly Lace Monitor (or Goanna) at the Mumbula Falls picnic ground. It's also worth having a go on the natural water slide, which has been used by the local local Yuin people for thousand of years. Note, though, that this site is very popular swimming spot in summer, so get there early during the holiday season. Just south of Bermagui. A good swimming spot and a good place to see Striated Heron, Eastern Reef Egret and Australian Pied Oystercatcher. There are recent record of Ground Parrot in the heath in this area. Azure Kingfisher and Hooded Plover can usually be see at the lagoon, and Powerful Owl can sometimes be seen in forest. 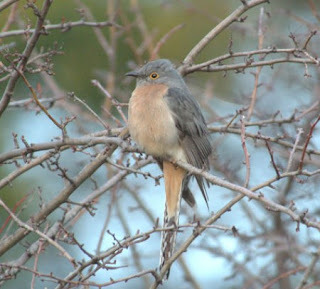 Talk to local birder David Bright at Ngairin Bed and Breakfast (see http://www.ngairin.com) for the latest sightings. This is a good place to see Scarlet Honeyeater. Great beach and good littoral rainforest, good spot to see Pied Oystercatcher, Eastern Curlew, White-bellied Sea-Eagle. Also good for Golden Whistler, Topknot Pigeon and Channel-billed Cuckoo. Yellow-throated Scrubwren and Brown Cuckoo-Dove have also been recorded. Picnic Point is a headland with coastal scrub and Angophora woodland, grading back through Spotted Gum forest, vine scrub in gullies, to Wapengo Lake (mangroves, open water). In the remnant rainforest look for Superb Fruit-Dove and Brown Cuckoo-Dove, both very rare to southern NSW. Also Cicadabird, Rufous Fantail, Black-faced Monarch, Leaden Flycatcher and Large-billed Scrubwren. There is an excellent heathland just south of the picnic ground, an area that holds Tawny-crowned Honeyeater. Wapenngo Lake is an impressive inlet and a good place to see waders, such Eastern Curlew, Whimbrel and Bar-tailed Godwit. Osprey and more commonly White-bellied Sea-Eagle can occasionally be seen feeding over the lake. On the Picnic Point beach look for Hooded Plover and Pied Oystercatcher. The Picnic Point camping ground, at the end of Wapengo Lake Rd, is one of the best in NSW. Good littoral rainforest and good wetland area. 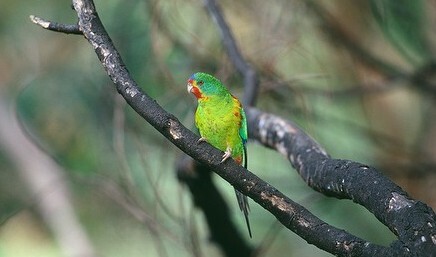 In 2008 large numbers of Swift Parrots (50+) were recorded at Nelsons Beach, feeding on Spotted Gum blossom and lerps and also on flowers of Coastal Banksia. Usually Superb Lyrebird in the campground itself, also Variegated Fairy-wren around boardwalk, and heath bird. At the mouth of the Bega River. This is a good place to see Little Tern (which nest here) and Caspian Tern, White-bellied Sea-Eagle, also Great Egret. In 2002 I recorded a Beach Stone-Curlew at this site. White-headed Pigeon can usually been seen on the power-lines in this area. Along Worlands Rd, and the intersection of Dr George Rd. A Birds seen here include Black-faced Monarch, Lyrebird, Channel-billed Cuckoo, Koel, Olive-backed Oriole, Wedge-tailed Eagle, Scarlet Honeyeater, Satin Bowerbird, Leaden Flycatcher, Powerful Owl, White-throated Needletail, Dollarbird. There is also a possibility of Painted Honeyeater - a bird I recorded here during my stay. 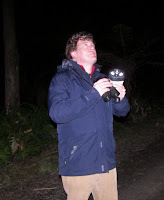 Sooty Owl have also been recorded on Dr George, near the turn-off to Mumbula Falls. The lookout next to the pub provides a good vantage point for watching seabirds. The Tathra Wharf can also have some nice birds, including White-bellied Sea-Eagle, Little Tern, Caspian Tern, Australian Gannet, Short-tailed Shearwater and Shy Albatross etc. I have also seen Flying Fish, a Hammerhead Shark, and some very large Stingray from this wharf. The walk from the Kianinny Bay boat ramp into Bournda National Park is also worthwhile, and the Wallagoot Lake area is good for birds such as Hooded Plover and Little Tern. There is a good wetland in central Bermagui, and there is a nice section of rainforest nearby. The lookout at the Blue Pools provides excellent seabird viewing. Temperate rainforest, just north of Narooma. Excellent temperate rainforest, with massive 300 year old Spotted Gums. Birds include Black-faced Monarch, Green Catbird, Brown Cuckoo-Dove, Large-billed Scrubwren, Brown Gerygone, Scarlet Honeyeater, Rufous Fantail. Also Figbird are common in the main streets of Narooma. Yellow-throated Scrubwren, Masked and Sooty Owl has also been recorded in the area. Speaking from experience, beware of leeches. Wears shoes, rather than sandals, and take a bit of salt. managed by local Yuin people, although I haven’t had a chance to walk to the top of this mountain it has some of the best rainforest in the district. It has bird list similar to Narooma. A very busy, and sometimes quite frustrating, coastal town! Despite this during summer there are usually large numbers of Bar-tailed Godwit on the mudflat next to the main street. Also White-bellied Sea-Eagle regularly fly up and down the towns waterways. Bar-tailed Godwit feed in the mudflat next to Merimbula's main street. Good for Wandering, Royal, Shy, Salvin's, Yellow-nosed, Black-browed, Campbell Albatross, Southern and Northern Giant-Petrel, Cape, Great-winged, Providence, Flesh-footed, White-chinned Petrel, Antartic, Slender-billed and Fairy Prion, Sooty, Wedge-tailed, Hutton's, Short-tailed, Fluttering, Little and Buller’s Shearwater, Wilson's and White-faced Storm-Petrel, Great Skua, Arctic, Pomarine and Long-tailed Jaeger, Common Diving-Petrel, Little Penguin and Black-faced Cormorant in Eden marina. Some mammals commonly seen on this trip include Australian Fur Seal, Common and Bottlenose Dolphin, Humpback Whale and, less commonly, Southern Right Whale, Blue Whale and Killer Whale. 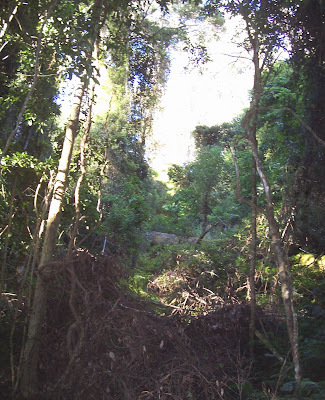 The vegetation communities of Ben Boyd National Park include heathland, open forest and rainforest. From the Princes Highway, 8km south of Eden, turn into Edrom Road. From here you can get to Green Cape, Bittangabee Bay, Saltwater Creek and Boyds Tower. Ground Parrot, Chestnut-rumped Hylacola, Tawny-crowned Honeyeater, Southern Emu-wren inhabit the heathland near the Green Cape Lighthouse, and there are records of Eastern Bristlebird, although records have been few in recent years. The lighthouse itself is famous for seabird-watching. I've seen Black-browed, Shy, Yellow-nosed Albatross and Short-tailed and Wedge-tailed Shearwater, and between August and October, Humpback Whale. Masked Owl has also been recorded in this area. In general, keep an eye open Grey Goshawk, look for Glossy Black-Cockatoo in section of the Casuarina ehile driving to the lighthouse. Masked Owl also occur in Ben Boyd National Par. Shy Albatross: a perfect place for seabirding: Greencape Lighthouse. Excellent wilderness area which is a reliable site for Ground Parrot, Eastern Bristlebird, Brush Bronzewing, Chestnut-rumped Hylacola, Hooded Plover and Tawny-crowned Honeyeater. Pied Heron, a vagrant to southern Australia, at Glebe Park in Bega.